The tragedy of the 100+ Mitchell and Kenyon films is in their length, or lack of it. Getting a real idea of what an Edwardian soccer match was like from any one of them or all of them is next to impossible. This example, Newcastle United v Liverpool at St James’s Park in 1901, is about the best of the bunch. Football today lacks the personalities of twenty or thirty years ago. This, I think, is true of all games, and the reason for it is a fine psychological study. The life which we live is so different: the pace, the excitement, and the sensationalism which we crave are new factors which have had a disturbing influence. They have upset the old balance mentally as well as physically, and they have made football different to play as well as to watch. And they have set up new values. The change has, in fact, been so violent that I do not think the past, the players and the game, can fairly be compared with the present. There are echoes there of 21st century jeremiads about Facebook, and one would like to have heard Billy Meredith (who played in the First Division from the time of Victoria right up until 1925) on the subject. It is sometimes said that, if the old players were to come back, they would show up the limitations of today. But there is no coming back. I know how boldly and confidently the old-timers speak of their prowess, and how they are inclined to belittle present players. To support their arguments they point to the difficulty of the selectors in trying to build up a stable international side. England teams come and go. From one season to another they can scarcely be recognised. They have, unfortunately, to be altered from match to match. Men good one day fail the next. They do not even play consistently in their club form. This is one tell-tale piece of evidence of how football has changed. I am not prepared to depreciate the men of today, being fully conscious of the many matters which have added to their difficulties. Competition has heightened enormously, and it is no longer possible for men or teams to play as they like. Thirty years ago, men went out with the fullest licence to display their arts and crafts. To-day they have to make their contribution to a system. Individuality has had to be subordinated to teamwork. Players have to take part in many more matches and the strain on their physical resources has greatly increased. Licence, artistry, creativity and the Old Days: I’ve heard the tale told of the 1950s in the 1970s, of the 1960s in the 1980s, and, heaven help us, of the 1970s ever since. Even if he succeeds in obtaining a team of stars – every player an acknowledged master – it does not follow that the combination as a whole will be successful. A team that appears invincible upon paper has an exasperating way of disappointing expectations. And when this is the case, the manager has to sally forth again in quest of fresh talent. Cameron talks purely in terms of his first team – nowhere in his (by his own admission truncated) essay does he think in terms of a squad as such, despite most clubs of the day keeping 20+ professional players on their books at any one time. Nor does he indicate that his first team might be directed in different ways for different opponents or phases of play. It is so much of a truism nowadays that combination in football – as in many other things – pays best, that it appears almost superfluous to urge its importance. team whose advantages of physique, head, and experience dovetail best. Too rigid a system of play, in which all the moves are known, will not do. There must be flexibility; endless variety and versatility, constant surprises for the other side. System must be inspired by art and innate genius for and love of the game. McColl establishes for us, then, that creativity was a strong value in the play of top Edwardian teams (and you can see him in the film above). It’s creativity within a system. But what system? Once again, we have no word. Either there was no system as we would understand it, or he assumed that we would know what it was. 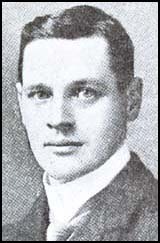 Kenneth Hunt, who was an ordained priest, was one of the last amateurs and Oxford men to win an FA Cup – scoring a “wonder goal” in the process for Wolverhampton Wanderers at Crystal Palace in 1908. He’d play twice for England in 1911, keeping his amateur status throughout. ..there are two generally prevailing styles of forward play, which we will here describe as the “three inside,” and the “wing to wing” game. Which is the more dangerous style of play it is difficult to say; each has its own advocates, and personally, I unhesitatingly plump for the “wing to wing” method of attack. In this style of play the wing-forwards lie as wide as possible on the touch-lines, ever on the look-out for those swinging passes, which they know their insides will give them at the first opportunity. The whole danger of this method lies in its suddenness. For myself, I prefer to see the centre-forward slightly in advance of his two insides, and the wing-forward considerably in front of the centre. The plan of attack is then something as follows: Should the centre-forward receive the ball he swings it well out to one of his outsides, but in such a way that the wing-forward has to run ahead to receive it. In the meantime, the three inside men are all making tracks as hard as they can go for their opponents’ goal, and so are probably in time to reach the centre as it comes skimming across. In the other style of play, most of the attack is carried on by the three inside men, and the outsiders are only used as a last resort. This kind of game is prettier to watch, but my experiences as a half-back tell me that it is much easier to checkmate thatn the more open style of play, which is far more likely to flurry the opposing defence. To which some Arsenal fans will say yea.. and Alf Ramsey’s shade nay.. and Chelsea fans both, remembering Mourinho’s Chelsea team of Duff and Robben and the team that followed after. But what matters is that you can picture what those two approaches would have looked like, and, with that in mind, it’s possible to watch that Newcastle-Liverpool clip again with a more enlightened eye. The whole plan of Soccer at its best is based on perfect combination and clear understanding between the members of the eleven. (Ed: as everyone keeps saying). Both as regards attack and defence does this statement hold true. There have been many changes made in the last forty years, both with respect to the number of players in various departments and as to their duties. But I believe, if you went into the matter closely, you would find that in every case each change made has been entered on with the view to strengthening the combination of the eleven as a whole, rather than with the idea of making it possible for this or that man to score individually. You may recall that in past years there used to be only one back and one half-back. This disposition of the forces was altered as time went on so as to afford finer combination and strength, until today, by having a team arranged in the shape of five forwards, three halves, two backs and a goalie, we have probably got as effective and powerful a combination for Soccer as can possibly be used or suggested. Note that sense at the end there of arrival, of satiation: football, in Gow’s eyes, had reached a tactical end of the road, and now all that remained was to fit the best set of players to the (found) best tactical layout. Edwardians didn’t discuss tactics because they were at the end of four decades of fast, decisive, and above all, player-led, change. That change had led them to a final solution as they saw it to the football tactics problem. In Edwardian football, therefore, formation and tactics were more or less the same thing, leaving a choice between attack down the middle or attack from the side. The players themselves had worked this out, almost by accident, by unconscious evolution: there is something redolant of Malcolm Gladwell or Steven Johnson about this process. After 1919, Chapman’s “heightened competition” would take the matter out of the players’ hands and – in effect – place it into his hands and Charles Buchan’s. It is still a shame that we don’t have fifteen minutes of Chapman’s favourites, Edwardian Newcastle, filmed from height, instead of the two or three minutes shot from one point on the ground. Perhaps, to get a true feel for what that lost side were like to watch, we need to look elsewhere. Uruguay here are using the same kit, the same ball, the same rules as the British teams, but are doing so uninterrupted by World War One and the burden of a 38 game league season. Would a 1920s Newcastle have been like this, absent Sarajevo? Chapman might have liked to think so. Peter Watts’s recent visit to Whitgift showed a football returning by inches to being a true national game, involving, like cricket and racing, everyone regardless of income and background (the bulk of the 2005 Ashes winners were state-educated incidentally). What it wasn’t, and couldn’t have been, was a comment on the level of intelligence within football. It’s probable that the spread of intelligence levels of every kind in football matches the spread of intelligence in society in general. At the same time, it’s fair to say that there’s a perception that British football could “show more intelligence”. The traditional attitude that “Only a horse can become a jockey” is troubling not just because the likes of Wenger, Ericksson and Mourinho prove it wrong, but because it contains within itself the seeds of its own stupidity. British clubs, it says, end up managed by Bottom. The best British managers, of course, are up there with the Wengers. You might even describe a golden age stretching from Matt Busby through Shankly, Revie, Taylor and Clough until you get to David Moyes of our own era. When you start looking for footballing unintelligence, it melts away, loses you in the back streets, the alleys and the courts..
My theory has been that football is where the English, with all their Nobel Prizes and world-changing invention and colossal literacy, go to to be stupid. However clever we are, we aren’t going to show it in football. It’s different for the Scots and Irish, and probably the Welsh too. What to make of John Cameron’s take on the issue then, in the Penny Illustrated Paper of September 26th 1908? There was a time when the player was not an educated man, as he is today. He is very often a gentleman by instinct and nature, and particularly a good sportsman. You have a man like Fleming, the Swindon centre-forward. He is saving up his money to become a clergyman; Alex Glen, the old Southampton and Tottenham player, saves all the money he can to prepare for the medical profession; while Charlie O’Hagan, the Irish international captain, gave up a good position in the Civil Service in order to play the game. Cameron’s was a small sample, but similar tales emerge from Herbert Chapman’s squad at Huddersfield 15 years later. Let’s not forget that universal secondary education was a post-War phenomenon. My great aunt Violet failed a grammar school scholarship at the age of 12 owing to nerves and indigestion on the day. She spent her next fifty years sewing for what became Debenhams, and hated it. In retirement, she lived in a terraced house that shared a wall with a sewing factory, and spent the rest of her days listening to the Singers murmuring at her through the Bedfordshire brick. Likewise, Alfred Williams, author, poet and folksong archivist, found himself unable to escape hard labour at Swindon works until his health got too bad for him to continue. If free education wasn’t available to those who had the ability to take every advantage of it, then you had to find another way. Cameron’s terse, typically judgemental paragraph shows how that surplus income that football provided could go into education and retraining. If you had your wits about you, and could set yourself career targets, and were lucky with your club and injuries, it could be done. You had the money and the spare time. Football was a window of opportunity. Late on Monday I received a telegram from Mr John Cameron stating that he had signed on Houston, of the Heart of Midlothian, as centre-forward for the ‘Spurs. The new man is not a whit inferior to Sandy Brown, and the ‘Spurs will be as strong as ever. They (Northampton Town, Chapman’s first club as manager, here winning in 1908) thoroughly deserve the position they have got, for their supporters are always to the fore, no matter how the side is doing. To Manager Chapman, one of my Old Boy Spin Brigade, the honours are largely due. But on the whole, football did not and does not offer a lifetime’s career path to British players – which applies as much to the women’s game as to the men’s. Nor is there any great feeling that it ought to. So, like the armed forces, football continues to spit its children out in the end to sink or swim. Perhaps this is where the public schools, who can afford to be career-orientated, come in. Can they create a viable lifetime career model for professional sport that works for everyone who goes into it, from whatever background? Or will they mimic the FA, who have largely ignored the problem for the last 120 years? Queen Victoria died in January 1901. A matter of months later came the first significant footballing appearance of the name Chapman. “Chapman H.”, once of Worksop, had trialled for Grimsby Town in 1898, but it was the inclusion of that name on a list of triallists at Sheffield Wednesday that marked his break into the sporting big-time. Chapman was a local boy, son to an illiterate coal miner living in a nearby village called Kiveton Park. He was born in 1879, at the height of Sheffield’s period of innovation and influence in football. Football was to Sheffield what racing was to Newmarket, long before Liverpool or Manchester had any real part in it. In 1878, Bramall Lane, home to both Sheffield Wednesday and Sheffield United at times, saw the world’s first floodlit match, a game attended by 20,000 spectators. The FA Cup Final in London could only attract 5,000 that year. Sheffield was home to the first cup tournament – the Youdan Cup – and some of England’s oldest sporting clubs were based in the city(Sheffield Wednesday had already been in existence for 47 years when it introduced football to its cricketing members). Mention of Worksop and Grimsby make it clear that even in the game’s earliest years, it was far from inevitable that talented players would end up playing for their local clubs. Chapman’s own brother would play for Sheffield United, but also Swindon Town, Tottenham, Notts County and Northampton. Chapman was a dashing, hard-shooting centre-forward. His time at Sheffield Wednesday was to prove the club’s golden age. When the club won the Football League title in 1903, breaking the Sunderland/Aston Villa stranglehold, it wasn’t their first success. They’d won the League in 1892, the FA Cup in 1896, and had the distinction of losing 6-1 in the 1890 Final, still the second worst defeat in a Final. Nor was it Sheffield’s first. Sheffield United had a League title from 1898, and an FA Cup from 1902. But it did mark the end of the great Villa/Sunderland days, which would never really return for either club. Wednesday won the title again in 1904. The highlight of Chapman’s playing career came in 1907, when he was made man of the match after his superlative performance in the 2-1 FA Cup Final victory over Everton. Chapman would play on for several more seasons, chalking up about 15 in total, a reasonable number for the time. 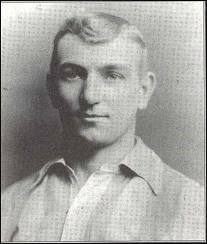 He wouldn’t have been far from an England call-up at his peak, perhaps only kept out by the likes of Steve Bloomer. Those Wednesday fans who as adolescents begged Chapman’s cigarette card off their elder brothers would have been remembering him to their infant grandchildren during the Korean War; the oldest of them would have lived to see Maradona’s Hand of God goal in 1986. Any film of Chapman playing will be tucked away unpublicised at the British Film Institute Archive, if it exists. But “Chapman of Wednesday,” as he was described in his pomp, died of tuberculosis in 1916, aged 36. He died at his brother Herbert’s home in Leeds. And this is going to be Herbert’s story. Corinthian attitudes and coaching greatness don’t run together: all of the great managers seem to have an exhaust trail of money, questionable money. For Revie it was undenied allegations of bribery in the early 1960s, then the undercover contract from the Arabian peninsular that took him from the England job. For Venables, it was his own extra-curricular business dealings, then his command of incredible contracts at insecure clubs on the way down, to whom he’d be the angel of death. For Clough, it was bungs, left uninvestigated owing to his ill health, but before that it was a pay-off from Leeds. For George Graham, it was Rune Haage; for Alex Ferguson, it was his own son. British football has a long, long record of failing to reward the talents of the men who made it what it was, diverting the takings by means legal but unlovely into the pockets of the board. Even now, when players are finally being compensated (some would say, wildly over-compensated) managers aren’t seen as quite so deserving, as the ugly reaction to Sven Goran Erickson’s last FA deal showed. Money, or the lack of it, or the quiet mis-use of it, has always been a footballing theme, and it was to shape the career of Herbert Chapman in fundamental ways. He’s in my financial list too; for Herbert Chapman, it was Leeds City. That’s not a typo; Leeds City were a small football league club of the Edwardian era that struggled to compete for its audience with successful local rugby league clubs. (Chapman, who managed Leeds City, was prone to finding himself in rugby towns. His first managerial post was with Northampton Town, and he’d have his first substantial success at Huddersfield. Arsenal, and London, were a slightly different matter, as capital cities usually are). In the late Victorian and Edwardian period, every football club was new in terms of how we’d understand the term, and ideas of history and tradition hadn’t taken hold. What you did, as a new club competing for to win crowds was to make it into the Football League, by means fair or foul, and what you did to achieve that was build your stadium. You made a high-risk investment in your superstructure. If it came off, then you would do extremely well financially, eventually. If it didn’t, you’d go straight to the wall. Leeds City were as involved as anyone. In 1900, the most powerful club in the area were Hunslet – you haven’t heard of them because they were unable to keep hold of a venue. The failure of Hunslet, and, a couple of years later, Holbeck Rugby Club, left the field open for a new football club and a ground – Elland Road – on which to base it. There was still much debate as to whether Leeds and the area could sustain enough interest to make a club viable, but in the first season of soccer, local rugby attendances halved. Leeds City floated as a limited company, and built the Scratching Stand at Elland Road, which would survive into the Revie era. They, like Chelsea at the exact same time, were determined to make it into the League at the earliest possible moment. The Stamford Bridge outfit literally boozed their way in through the door, and began life as a League Club, something unimaginable now. Leeds City had to wait a few months more, and started off in the West Yorkshire League, which they treated with complete contempt, saving all their love for a series of exhibition matches against top Football League sides. They were elected into an expanded Football League Division Two within a year, alongside fellow wannabes Chelsea, Hull City, Stockport County, and a London club, Clapton Orient. Suddenly those names look a little less quaint and traditional, and more signals of aggressive, shouldering intent, the baptismal names of the bully clubs who pushed themselves to the front forever as the game took shape in the early years of the twentieth century. You built your stadium, took the fans from other local clubs, made it into the League, then breathed a huge sigh of relief before addressing the arrival of the huge bill all this activity had generated. Paying for all of this was going to require strong measures – strong measures that would utterly change the way football developed in Britain. 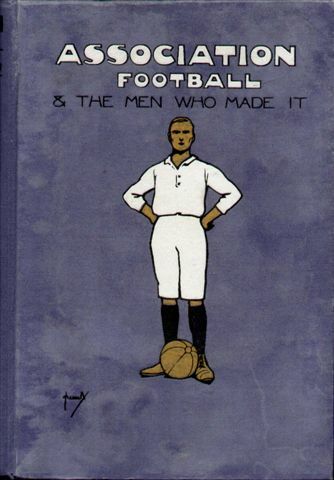 It was to pay the wages of the likes of Archibald Leitch, architect of Villa Park, Ibrox, Stamford Bridge, White Hart Lane, the Cottage at Fulham, and Huddersfield’s Leeds Road ground (of which much, much more anon) that the Football League introduced a maximum wage in 1901. Until the introduction of the maximum wage, which was very much the act of smaller, newer clubs, professional players received what amounted to the market rate for their services. Sometimes the means of delivery of that market rate were obscure – top clubs were adept at finding lucrative local jobs for their players, or else simply pushed cash at them under the counter. Plus ca change. In its early days, the Football League clubs sucked in the best players in Britain, and the top clubs did so more than the others. In the first thirteen years of the League, only three clubs shared out ten of the titles. The Premiership has relearned that lesson: money buys the best managers, and the best players, and thus the trophies. It wasn’t just the cap on wages. A player could only achieve a transfer to another club with the permission of his existing side. As the Kingaby case of 1901 was to demonstrate, this wasn’t always forthcoming. (Kingaby was an Aston Villa player seeking a transfer. Villa refused, and he sued them on the grounds of restraint of trade. He mishandled his case, alleging malice on the part of Villa, and lost.) Until 1910, it was possible for a player whose League career was in limbo, with a club refusing to release his registration, to take refuge in the Southern League, or, earlier, in Scotland, but these escape routes were closed one by one. It’s an interesting example of workers’ rights actually eroding as the twentieth century got into its stride. The golden age of football, from the players’ point of view, began with the legalisation of professionalism in 1885 and lasted only sixteen years. For the likes of a Chapman, who was interested in bringing success to a club in terms of trophies and not just in terms of audience revenue, the structure of the Edwardian and post Great War game posed severe problems. Some kind of corruption, however defined, had been made inevitable. But that same structure sheds light on the kind of person Chapman was in early life. His professional career, as we’ve seen, was astonishingly peripatetic for his time. His arrival as a professional at Northampton Town coincided with the arrival of the minimum wage in 1901. In the next four years, he played for Sheffield United, Notts County, and then Spurs (of the Southern League, which may or may not have been significant). For three Football League clubs to agree to his departure in three or four years shows the manager as player – like Clough, like Ferguson, like O’Neill, a difficult underling, a restless employee, a pain in the neck – who, given the chance to lead, fits the hole they’re in for the first time. 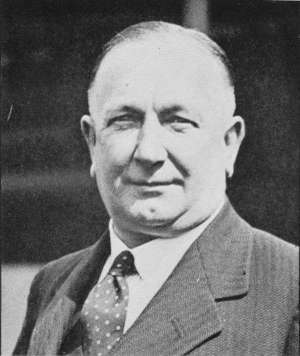 Chapman became what was then often known as secretary-manager of Leeds City in 1912. It was his second such job, and he was coming in on the back of a reasonably successful spell at Northampton Town. Secretary-managers were expected to act as go-betweens, as a diplomatic link between the board of a club and the players. They were usually expected to take care of a substantial amount of the buying and selling of players: Chapman’s predecessor at Leeds City, Frank Scott-Walford, had coped with Leeds’ precarious finances by relying on players from his previous club, Brighton. Tactical nous was not expected – players were meant to be the experts at actually playing, after all – but a secretary-manager was to foster good team relations and team spirit. Although Chapman picked a good time to turn up at Leeds – the financial instability of the Scott-Walford period had seen the club (still only six years old, remember) almost go out of business, but investment from the board had been forthcoming. Nevertheless, Chapman’s Leeds City went straight into a financial scandal. Chapman had signed three new players – Billy Scott, George Law and Evelyn Lintott. It was agreed by Leeds that they’d be paid the full maximum wage, £208 for the year. The problem was that two months had already elapsed since the end of their previous playing contracts, meaning, in effect, that they were being paid more than the maximum wage for that year. Aston Villa had done the same, and been punished, and Leeds, on realising the situation they were in, reported themselves to the League. That was honesty, and the punishment was mild, but the situation was absurd for an ambitious manager. The rules were being silently broken in every direction; clean hands meant empty hands. We like to think that we live in an era of ever-accelerating change, but I doubt Chapman would agree. When he was born, photography had been around for about thirty years, and it was still a complex, elite affair. He was a player by the time the automobile was invented – and about to turn professional when Marylebone Station was opened in London. If he travelled by road as a young man, it was on macadamed roads – tarred surfaces arrived shortly before he took over at Northampton Town – and, in cities, hotels pressed to have the roads outside paved with wood or rubber to muffle the sounds of hooves and win a quiet night’s sleep for their guests. When Chelsea joined the League in 1905, basement slaughterhouses still persisted in the vicinity. The whole vast Victorian infrastructure that crumbled from under us in the 1970s was brand spanking new, and so was the telephone, the typewriter, the mass-market newspaper. By the time Chapman arrived at Arsenal, the Kingston bypass was open, and radio commentary of games routine. The miniskirt had come and gone for the first time; “dogfights” no longer actually involved dogs. More time has elapsed between now and Charlie George’s FA Cup Final winner for Arsenal than divided Arsenal’s election to the Football League and their winning their first title under Chapman. Highbury wasn’t the venerable, elegant old stadium subject to tears and nostalgia: it was as new as the Flying Scotsman (no, newer) and almost as glamorous. Almost as glamorous: by then, the early fears of the FA about professionalism had all proven prescient, and the game had become financially-driven, commercialised, working class, a focus for mob behaviour and as gimcrack as the kind of glittering gin palaces for whose sake square-spectacled architects now lie down in the road. To put it another way, over the course of Chapman’s career, English poetry went from Tennyson to Ezra Pound, from the warmly populist and musical to the deliberately elitist. Football, despite the FA’s best efforts, took precisely the opposite course. And that’s unusual and interesting. The jazz that had already peaked by the time Chapman arrived at Arsenal went, as Larkin said, from Lascaux to Pollock in fifty years. It did that without ever escaping its lower class origins. Football, trapped in its milieux by the maximum wage, made no equivalent move – in fact skill, subtlety and panache became objects of suspicion. In football, Tennyson to Pound, Lascaux to Pollock, happened overseas, in Uruguay, Brazil, and Italy. Thank goodness English football had Lowry, at least (and it really did: he painted at least one matchday scene). Leeds City’s real moment of truth came in the aftermath of the Great War. Chapman was still involved in war work at the time, at the Barnbow Munitions Factory, and is likely not to have been directly involved. In Chapman’s absence, the club took to infighting, especially between his stand-in successor and former assistant George Cripps, and the new chairman of the board, Joseph Connor. The financial situation of the club declined, and in 1917 only the intervention of the Football League encouraged the board to continue rather than winding the club up. In the meantime, Leeds were making illegal payments to guest players (normal League life had been suspended in 1915, and the game had been on a war footing ever since). Chapman’s return in 1918 seemed to have calmed matters down somewhat, but the renewal of the contract of a disaffected player (Cripps had not been popular and hadn’t taken Chapman’s return well) Charles Copeland brought down the roof. Copeland had been demanding the doubling of his pre-War wages, and attempted to blackmail the board by threatening to blow the whistle on the club’s illegal payments. The board called Copeland’s bluff, giving him a free transfer to Coventry (of all places). Unfortunately, Copeland had made sure to come away with documentary evidence of his allegations, and took Leeds City to the authorities. A joint FA-Football League enquiry resulted in the closure of the club. City probably mishandled the enquiry, but nevertheless the decision was still a shockingly harsh one – the charges against them hadn’t, in the end been entirely substantiated, and (as in the Manchester City scandal of 1905) the sense of “but for the grace of God” was palpable at other clubs. With five others, Chapman was banned from football management. He was out of the game for two years, until Huddersfield Town persuaded the Football League to allow his appointment with them. Chapman appears to have taken his ban on the chin, which would have been out of character for such a force of nature and not what would have been expected. However, he’d already resigned from Leeds by the time of the enquiry, and was working in a management capacity at the Olympia oil and cake mills in Selby of Joseph Watson & Son. Presumably, having a future already mapped out outside football (as a player, he’d always kept a career outside the game going) suspension had less of a sting. And so, it took the closure of the mills, and Huddersfield’s intervention, to prevent the loss to football of the man who would prove the greatest visionary and manager of the first half of the twentieth century. He joined Huddersfield in 1921, and had 12 years left to live.